Wednesday, April 5, 1911: But now I have changed my opinion. I believe I will have a good time tomorrow. I assisted my sister in making chocolate fudge tonight. Chocolate Fudge, No. 1—Three cups sugar; one cup cream or rich milk; one-half cake of chocolate and piece of butter the size of an egg. Boil slowly until grains form on the edge of the kettle. Add a tablespoon of vanilla and beat vigorously for a few minutes. Pour into a buttered pan and mark off in squares. Chocolate Fudge, No. 2—Two cups brown sugar; one-half cup of butter; one-half cup of milk; one-fourth cup of molasses. Boil ten minutes. Then add two squares of chocolate and boil three minutes longer. Beat until thick, adding a teaspoon of vanilla. I decided to make both recipes—and then have a taste-testing to see which was better. First I ‘translated’ the recipes into modern terms. For recipe No. 1, I guessed that a cake of chocolate was 1/2 pound of unsweetened chocolate and that the recipe therefore was calling for 1/4 pound of chocolate (4-one ounce squares). I decided to use 1/4 cup of butter for ‘butter the size of an egg’. I used heavy whipping cream for the cream or rich milk. And, I decided that ‘beating’ within the context of 1911 probably meant stirring rapidly with a spoon. Before pouring each mixture into a buttered pan to cool, I divided the mixtures into half and added chopped walnuts to one half. After the fudge hardened I conducted a taste test with readily available people (in other words, with my husband). 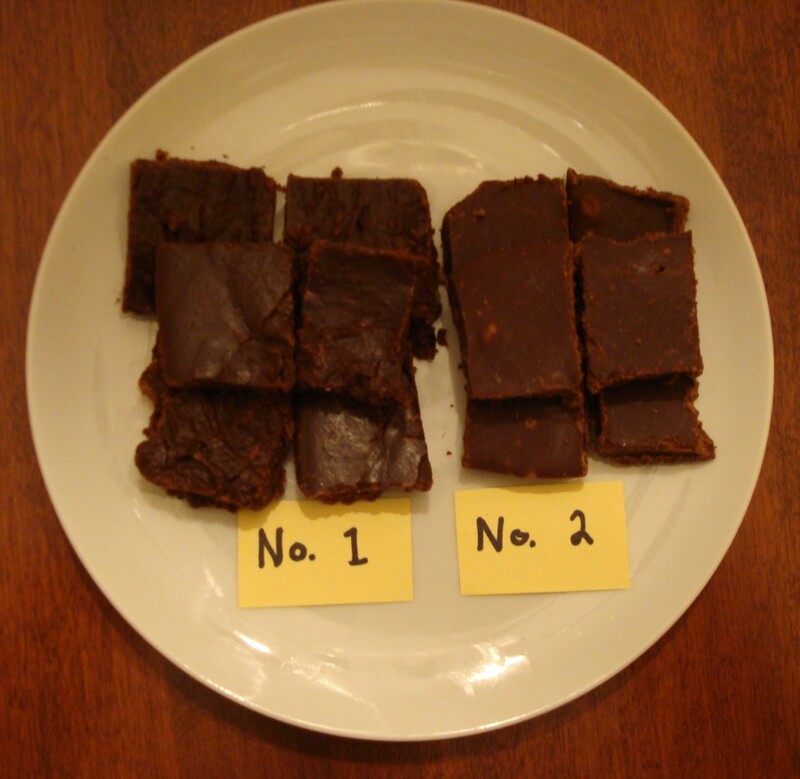 Both recipes made acceptable fudge—though Recipe No. 1 tasted more like the fudge we typically eat today. Recipe No. 2 had interesting complex undertones from the molasses—which seemed a bit strong in the plain fudge, but when we compared the fudges that contained the walnuts—the molasses really complemented the taste of the walnuts. If any of you are hungry for some old-fashioned sweets, I’d encourage you to try these recipes.—And, let me know if you translated these recipes for modern cooking differently than I did, and whether you preferred recipe No. 1 or No. 2. Posted on April 5, 2011 August 30, 2015 by SherylPosted in Food, recipesTagged candy, fudge. Thanks for stopping by. I agree, it’s an amazing recipe and really interesting how some recipes have changed over the past hundred years. Slowly but surely , I’m getting caught up here. 2 tasty fudge recipes! Yummm!